More than 100,000 customers can’t be wrong: they’ve rated us VERY GOOD. After all, we conjure up a picture from many photos. We can deliver with our 24 hour express service, because you’ll want your mosaic on time when you’ve planned it as a present. 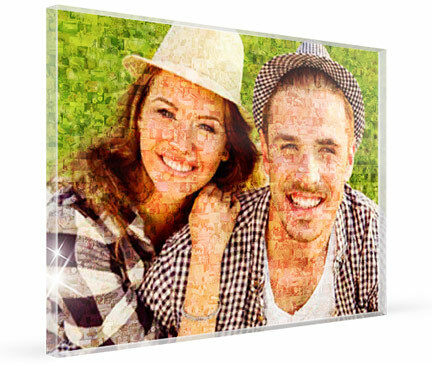 You receive a free preview of your mosaic made from your pictures. If you like the mosaic, you have the possibility to buy it in XXL format. Your photo mosaic in XXL format. Make your favourite photos stand out! The mosaic was designed to be a present and the recipient was absolutely delighted. Excellent quality and super-fast delivery. I’m more than satisfied and would order again from you in the future. The canvas looks really great! SUPER! I couldn’t believe it was already done when the courier was standing on the doorstep. Thank you so much! I will definitely recommend you. 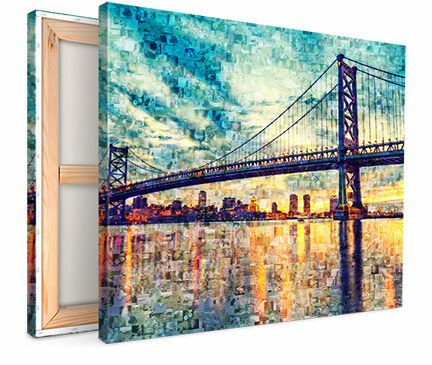 A mosaic photo is a large picture made with pictures. 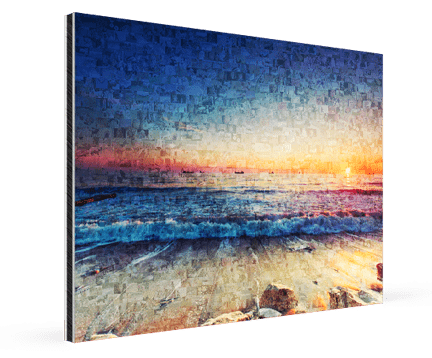 And making a mosaic is much easier than you would imagine because you can make a large image using many small photos easily these days. And the result is fascinating: lots of little photos make up a large image. When you create a photo mosaic from multiple images, you first need enough photos. You should have at least 100 photos. After all, the image made of photos will be particularly impressive the more photos are used for one image. For this reason, the rule is: more is better. 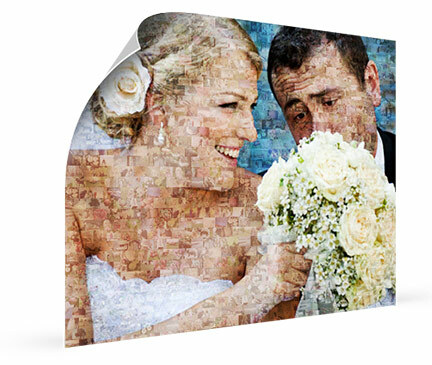 The mosaic pictures are particularly popular as gifts for various occasions. If you want to find out more about the mosaic collage, a detailed description is available under „What is a photo mosaic“. 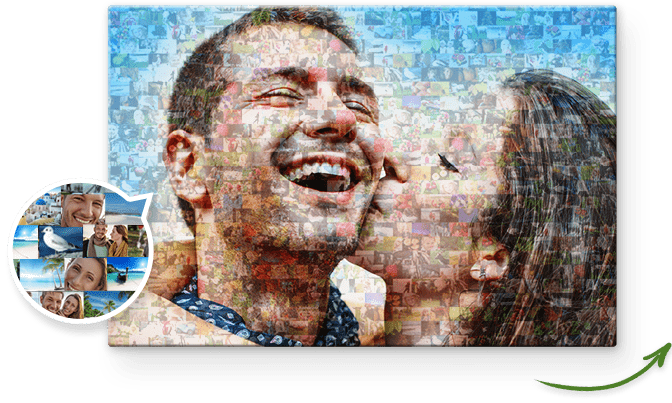 In order to make a photo mosaic, you don’t need photo mosaic software or a photo mosaic maker anymore. A photo mosaic can be made quite simply online. If you are searching for a photo mosaic app, you can also use our website to make a mosaic picture for free.